It’s been quite awhile since I’ve tried out Clinique’s skincare products so you can imagine my excitement when I receive the Sephora-exclusive Clinique Pep-Start Collection! Don’t you just love how vibrant and youthful the packaging is as compared to their standard line? Designed for the young adults who are always on-the-go, this multi-tasking range is definitely eye-catching and better still, affordable! Cleansing wipes are always ideal, especially on lazy days. 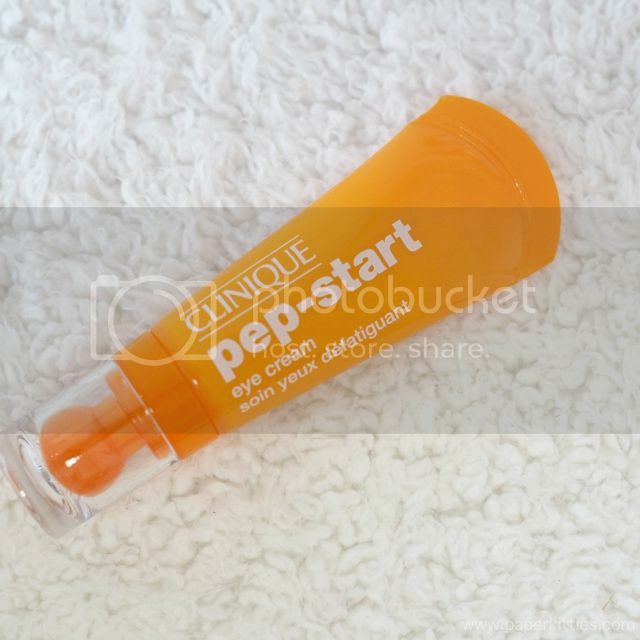 Clinique Pep-Start Quick Cleansing Swipes refreshes skin, removes surface oil, dirt and debris with no rinsing necessary. 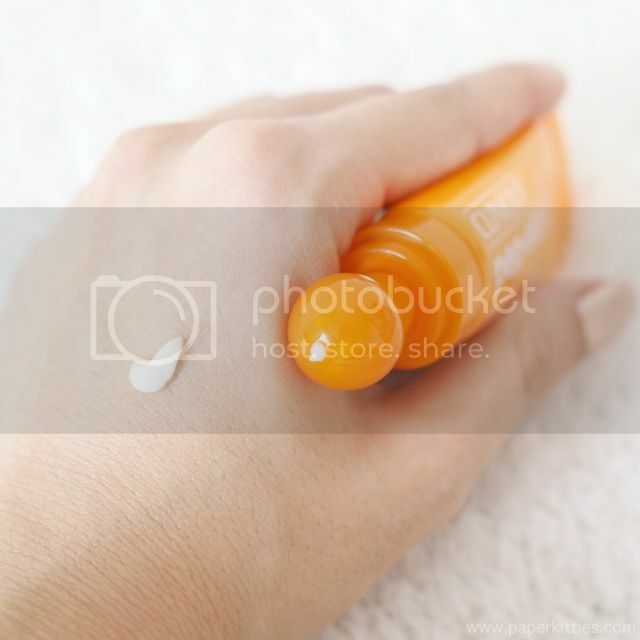 It also provides a light dose of hydration and leaves skin smoother and more refreshed. The cloths are made of sturdy material and feel soft when cleansed around the skin, with a fragrance-free formula (in fact, this entire range is) that doesn’t leave any residue on the skin. Even though it is not specifically a makeup removing wipe, it still removes majority of my makeup except for my eye makeup. But that’s nothing my second round of double cleansing won’t do, and I’m just happy to keep a packet around for easy cleansing when there’s a time constraint.. or simply, when I’m feeling slightly lazy. I tend to simply skip my cleanser and go straight to my exfoliator. Tip: You can also use it on upper arms, chest, back and neck to freshen up post-workout or on a mid-day meltdown – a quick swipe to simply refresh yourself conveniently. Speaking of cleansers and exfoliators, here’s a combination of the two in one convenient tube! This oil-free fragrance-free gel cleanser foams up easily to cleanse and refresh one’s skin, while the physical and chemical exfoliation leaves skin flawless and smooth for flawless makeup application. A little goes a long way as the rich, thick consistency really lathers up. 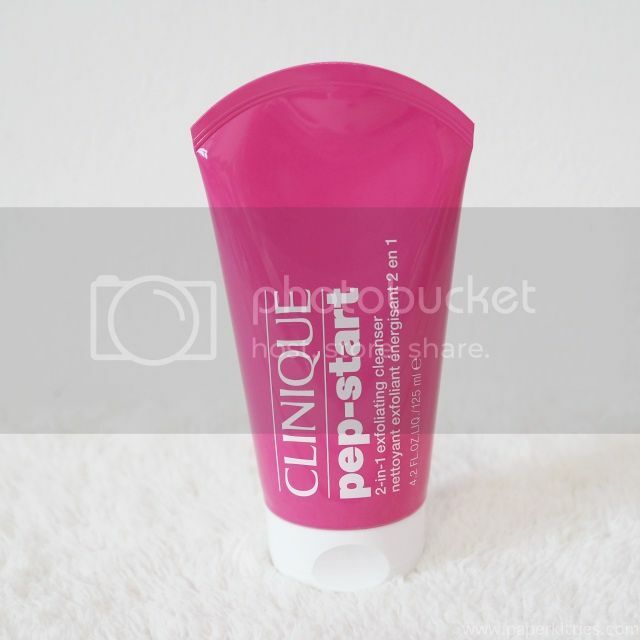 I didn’t think much about Clinique Pep-Start 2-in-1 Exfoliating Cleanser until I was trying it out recently. I personally like how the exfoliating beads are so gentle and doesn’t leave my skin feeling taut after cleansing. Instead, I was greeted by a fresh, brightened skin after using it that left me impressed by its efficacy in removing oil and dirt after a long day out with just sunblock! The Clinique Pep-Start Eye Cream is surprisingly lightweight despite it’s thick, opaque texture; and absorbs even quicker onto my skin, with a matte afterfeel – doubling up as an eye primer I reckon? Perhaps it is too early to tell, so I won’t reckon it really does solves the root of your eye problems (let’s be realistic, nothing does but aesthetics). However, as this range promises, if you’re looking for a quick fix.. this would be one that you could consider. 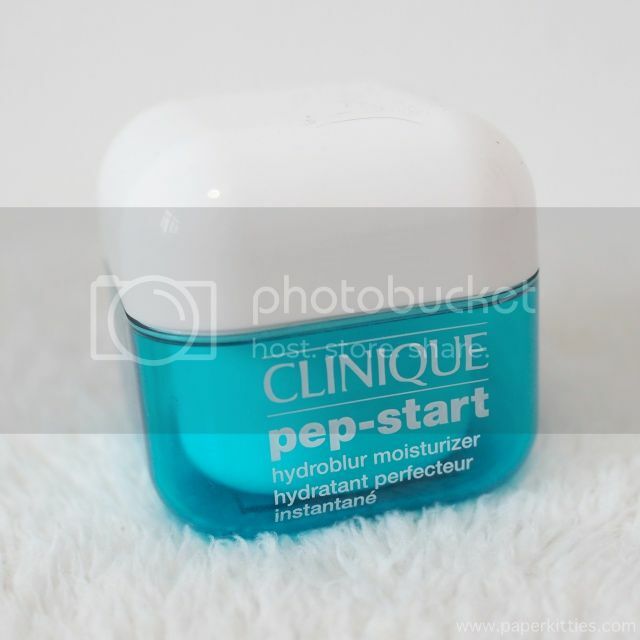 A lightweight, 24/7 hydrator that provides matte moisturization, Clinique Pep-Start Hydroblur Moisturizer instantly blurs imperfections, and controls surface oil for skin; all while blurring imperfections like fine lines, wrinkles etc. Skin is left feeling soft and velvety as it sets to a matte finish but still promises to keep skin moist and hydrated throughout the day.